Blackpool in 1949. See note below. Photo courtesy of Doreen Wheelhouse. 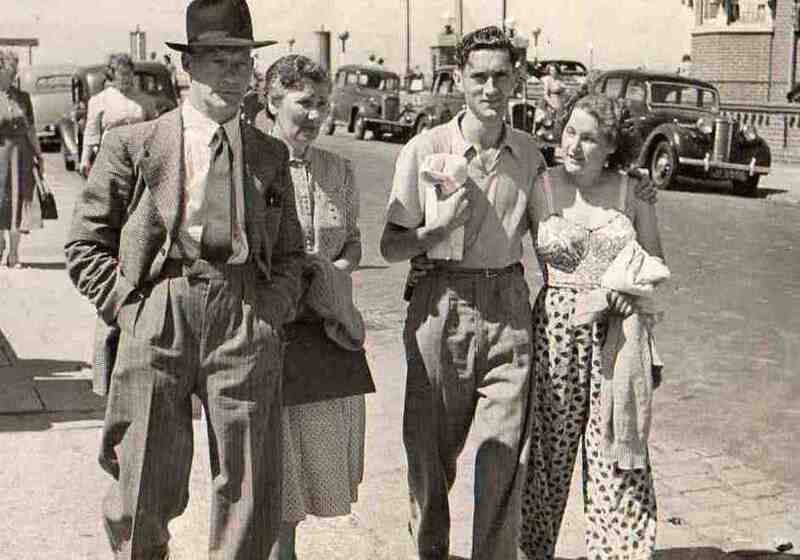 Staying with my aunty and uncle in Blackpool in 1949. They think they thought about fancy trousers today. I wanted some then so what did I do? I popped on my pyjama bottoms. I must have stood out in a crowd but they worked.